Websites mis-selling mobile ringtones and other services have been forced to clean up their acts, following a European Union crackdown. Some 301 sites were investigated, resulting in the closure of 54 and the correction of 159. The biggest problems were unclear pricing and misleading advertising suggesting ringtones were free. The investigation was a direct response to hundreds of complaints from parents and consumers across Europe. Over half of the websites specifically targeted children. "Young people should not have to fall victim to scams like misleading advertising that lure them into ringtone subscriptions they thought were free," said EU consumer commissioner Meglena Kuneva. "Parents should not find nasty surprises in their phone bill, when their children by accident have signed up to more than they have bargained for," she added. Of the websites investigated, 41% had some irregularity related to the offer's price. On many the price was not referred to at all, until the consumer was invoiced via their phone bill. Three-quarters gave no information about how to contact the service provider, which is against EU law. A smaller number, 28%, advertised the services as 'free', with 35% hiding the information about price in the small print of contracts. Ringtone sales are estimated to make up 29% of the mobile content market in Europe, with ringtone sales in 2007 bringing in an estimated 691m euros (£613m). The EU vowed to continue its investigations into the selling of such services. It said it would work with national authorities to conclude outstanding cases, with several more sweeps likely next year. During two such sweeps in Italy this year, nine companies were found to be in breach of the rules and fined around 2m euros (£1.7m). 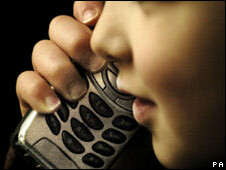 In the UK, new rules for the providers of services such as ringtones were issued in January this year. Providers now have to obtain a licence from regulator PhonepayPlus. Prices must be clearly displayed and customers on subscriptions to any service costing more than £4.50 must to able to opt out.